Whenever a school shooting takes place, the news fills with discussions on school safety. Are schools safe? What can teachers and administrators do to make them safer? While the news frequently interviews school safety experts, administrators, and even parents, many fail to ask those who spend at least 180 days a year in the classroom -- the teachers. While parents and the public may fear school shootings and other major acts of violence, teachers may not feel the same way. In fact, all of the teachers interviewed for this piece shared that they felt safe at school. "I actually don't know what types of violence anyone would experience while at school here," says Jill Buccola, a middle/high school English and Social Studies teacher at a college-prep classical charter school. While other teachers interviewed may still see the potential for violence or other safety issues in their schools, they readily admit that the mass violence is not what they fear. Most have attended training and been briefed on what to do should a crisis take place. Schools and districts have spent thousands of hours crafting emergency response plans, beefing up school safety, and making sure everyone is on the same page. When it comes to dealing with major acts of violence, many teachers feel their schools are ready to act should something happen. However, they may not be ready to act in other instances where student safety may be at risk. Mass shootings may fill the news, but they are not the only problem. The Youth Violence Project reports that violent crime in schools has drastically declined since 1994. For example, in 1994 there were 42 homicides on school grounds, but in 2010, there were only 2. The percentage of instances of students carrying a violent weapon into school declined. Over 20 percent of Asian and Hispanic students reported seeing hate-related graffiti or experiencing hate speech at school. Around 28 percent of students ages 12 to 18 reported being bullied at school. Nearly 34 percent of teachers responded that student misbehavior interfered with their teaching. A higher percentage of 10th grade students and students from diverse backgrounds reported that drugs were sold or offered to them at school. Schools and districts may have plans in place to address major acts of violence, but many lack the preparation and support to prevent the minor acts of violence and other violations of school safety students and teachers are most likely to face, such as bullying, drug use, and minor student-on-student fights. "I have witnessed a rise in more emotional disorders in our schools and many students not receiving their proper medication on a regular basis to regulate. The constant swings of moods, with impulsivity, can be dangerous to each other. I feel like our schools are more prepared for physical safety, but not emotional safety," says Nicole Clarkson, a special education teacher at an urban middle school. Karrie Clark, a high school Spanish teacher at an inner-city high school notices a similar trend, "Students today seem to get upset over little things such as someone looking at them wrong. This could cause an all-out brawl, usually between girls. The students really don't know how to handle their anger and more and more I see them turning to violence to solve their issues instead of walking away or trying to resolve the problem." Using the first week of school to focus less on the standards and more on teaching life skills, which Mogilevsky describes as going slowly in the beginning of the school year in order to go faster. "This means if I spend time front loading behavior descriptions and building the feeling of teamwork and inclusion for 100% of the kids in my class, then I can teach more later on because the kids are focused on learning, not arguing." Regularly incorporating icebreaker activities that focus on empathy and other life skills in the classroom throughout the year. Teaching kids what it looks like to be successful in class and rewarding them for it. Developing clear procedures, not rules, and having students sign off on them as part of a personal contract. However, when teachers intervene in instances of bullying and other acts of violence, they may also put themselves at risk for harm. Karrie Clark noted being elbowed while trying to break up students in an instance that resulted in a riot. In another instance, a middle school teacher in a rural school was punched in the face after stepping in front of a student who was being bullied and about to be hit himself. In other instances, students may become frustrated with teachers and administrators trying to fix the problem. For example, "one student last year didn't like the way an administrator was talking to him and threw down his book bag and coat and tried to fight the administrator," said Clark. Sometimes even school safety plans fall short. "My biggest safety concern was that anyone could walk through the front door and even though the front door was monitored, it still would be easy for anyone to slip in. Also, the students saw nothing wrong with letting people into the back doors that were locked," says Clark, a high school Spanish teacher in an inner-city school. The Department of Education notes that building a school wide foundation is the most important aspect of developing a safe school. Administrators and teachers must focus on providing positive discipline, teaching students appropriate behaviors and problem-solving skills, and supporting students both emotionally and academically. Teaching students appropriate behaviors, providing positive discipline, and supporting students can go a long way towards preventing acts of violence, including mass shootings or those that leave students severely injured. Making sure teachers, administrators, and students know and enforce the rules also plays a key role in preventing the violence. For example, a rule that visitors must enter through the main entrance cannot be effective if students regularly push open the school's back door to let in anyone who knocks. 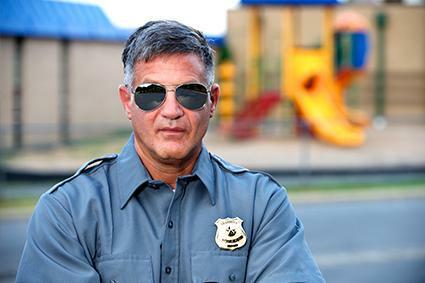 Overall, 72 percent of teachers at all levels report that their fellow teachers enforce the school rules and 89 percent report that their principals enforce the school rules (Indicators of School Crime and Safety: 2012). However, only 56 percent of secondary school teachers report that their fellow teachers enforce the rules. In order to prevent acts of violence, schools need 100 percent of teachers to buy in to and enforce the school rules and procedures, particularly if they want students to buy into them and follow them too. According to a 2013 study from the School Improvement Network, which was conducted shortly after the Sandy Hook shooting incident, 92 percent of teachers reported feeling safe at school. However, many are still quick to note that their students may not be safe. While gun violence and other large acts of violence always remain a possibility, schools can develop plans to prevent and handle those acts of violence. What teachers say they must focus on most is creating a safe-learning community, where academics and a sense of community trump bullying, student-on-student violence and other misbehaviors that interrupt the learning process. As a result, not only will teachers continue to feel safe at school, but they will begin to feel like their students are safe as well.